NOWHERE ELSE IN THE UNITED ARAB EMIRATES CAN YOU DISCOVER SUCH IMPORTANT HISTORICAL SITES. The Paleolithic Period is the name given to the age of human history which began around 2.5 million years ago and ended about 12,000 years ago. 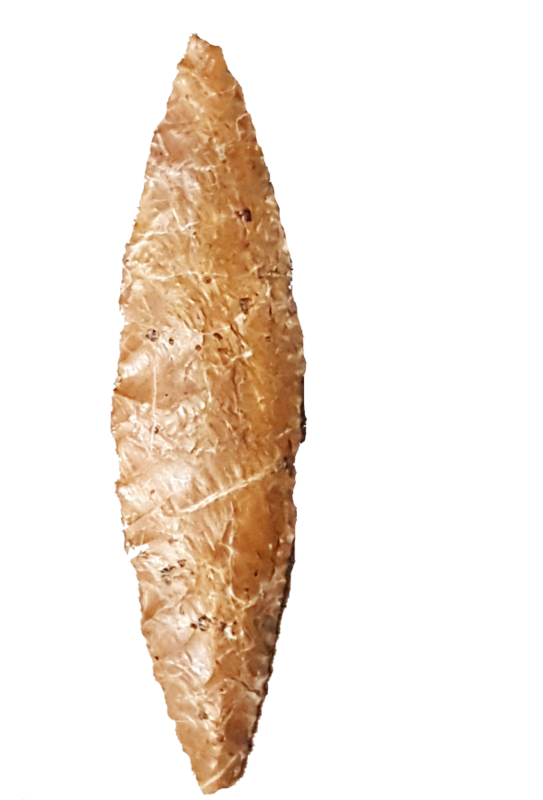 It stands out as the period in which early humans started to make stone tools. The world’s earliest archaeological finds from the Paleolithic Period can be found in Africa however, evidence from Mleiha shows early humans from this time passed through Arabia en route to South Asia. There have been some discoveries of stone artefacts in the Mleiha area but because they were found among natural stones, their age cannot be accurately determined. The site at Jebel Faya does however offer much evidence of settlement during the later stages of the Paleolithic Period. The Mleiha area has been hugely important in developing our understanding of the Neolithic period in south-east Arabia. In particular, the excavation of the region’s funeral sites has provided great insights into the burial practices of the time. Neolithic people can first be traced to the region around 8000 BCE, just after the cold, dry period of the last phase of the Ice Age had finished. The Neolithic people settled in the previously-uninhabited Inland Basin, bringing with them cattle, sheep, goats and livestock. 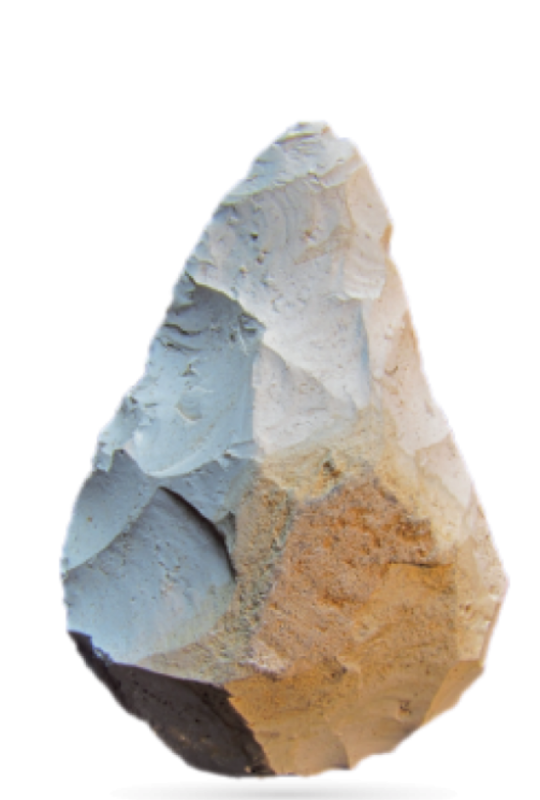 Interestingly, settlers during this period did not cultivate plants and used tools and weapons made from flint and stone, much like during the Palaeolithic period. Neolithic life in the area collapsed just after 4000 BC when the climate deteriorated. 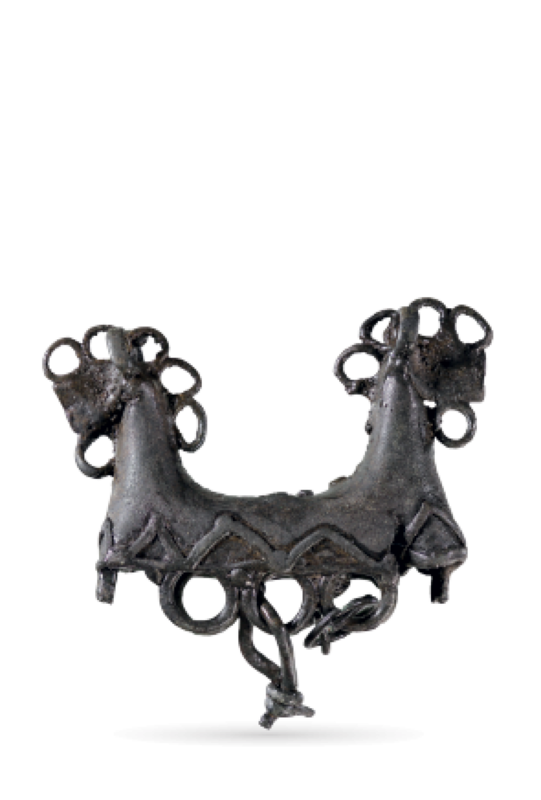 The Bronze Age is characterised by metal replacing stone as the material used for making tools and weapons. The use of copper ore from the Hajar Mountains was another important innovation during this age, leading to long-distance trade connections for the first time. 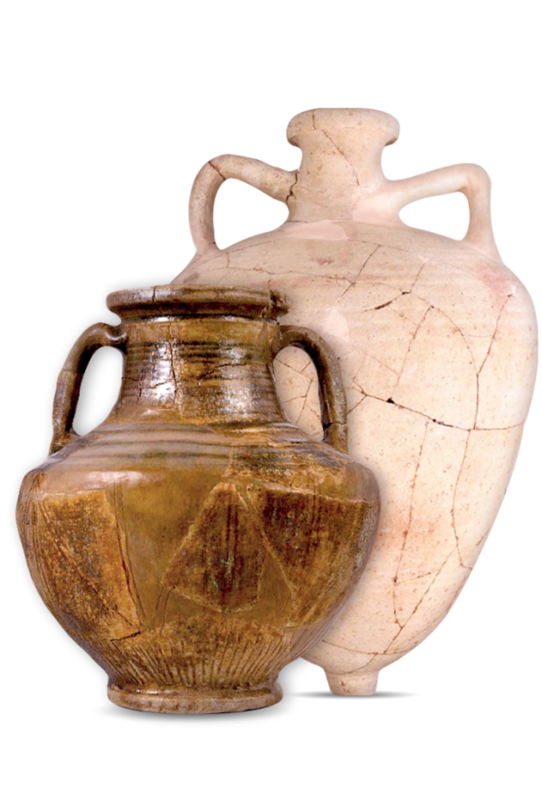 Excavation over the last 20 years has revealed significant evidence from the Bronze Age in the Inland Basin of the Mleiha region. The Mleiha plain was well suited to oasis culture (a specific farming method with irrigation) which allowed Bronze Age people in the area to harvest and store agricultural plants and fruits all year round. 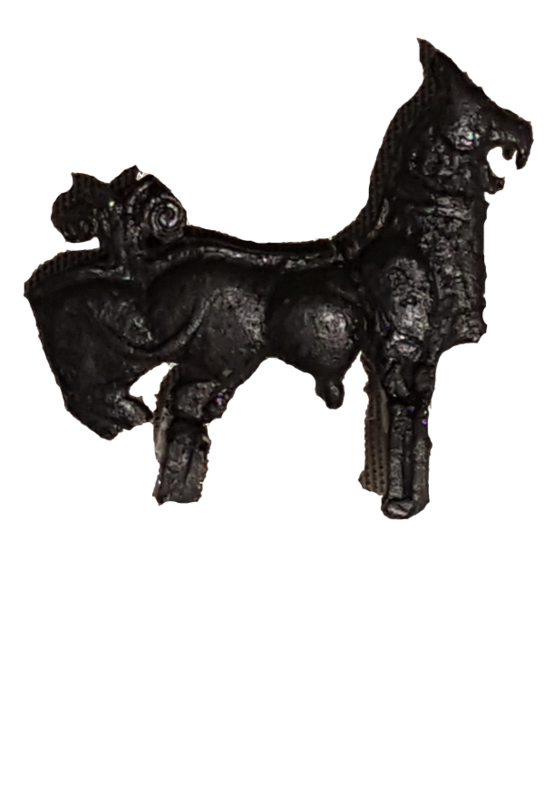 The Iron Age refers to the period from around 1200 to 400 BCE and can be broken down into three sub-phases: Iron Age I, II and III. The Iron Age II period (1000 – 600 BCE) is the era best-represented in the Mleiha region, with numerous graves on the site and the settlement of Thugeibah having been dated to this era. There is less evidence found at Mleiha from the first and last Iron Ages. Thugeibah is a well-preserved agricultural hamlet near Al-Madam which prospered during the Iron Age II period due to a particularly successful water management system consisting of wells and a falaj. The settlement ceased to exist when the water table became too low to be tapped with the means available to the Iron Age people. 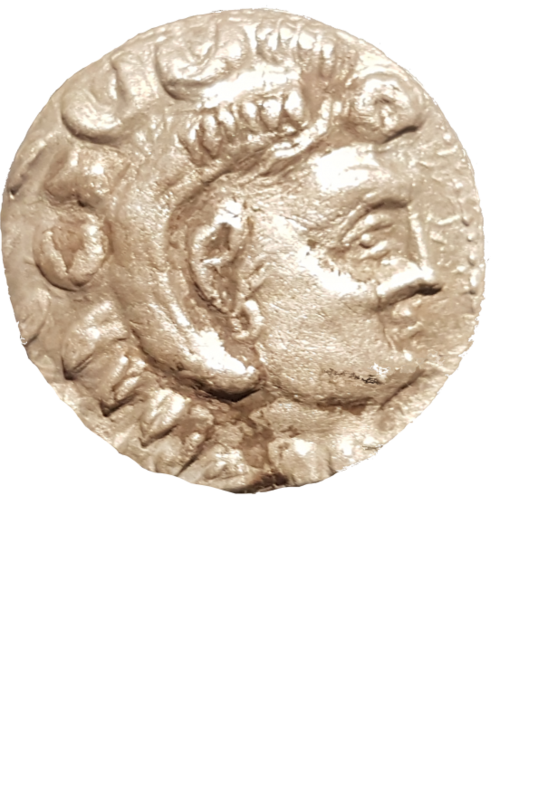 The Late Pre-Islamic period followed the end of the Iron Age, during the 3rd and 4th centuries BC. Evidence gathered from excavations at the two major sites of Mleiha and Ed-Dur have allowed the Late-Pre-Islamic era to be divided into sub-periods. The end of the Late Pre-Islamic period was marked by the start of the Sasanian influence in the region.